Modern cars ride smoother than ever before. The old expression that ‘it rides like a Cadillac’ doesn’t apply anymore. They all ride like Cadillac’s, even modern trucks! Shocks, struts and springs are just some of the parts that keep your vehicle riding like a dream. But when one of those components breaks, suddenly that smooth ride isn’t so smooth anymore. Then you hear clunks and the steering starts to feel loose and you just don’t know what to do. Well, take it down to Elkhart Mechanics and we can diagnose any and all problems with your suspension. Shock blown, no problem, spring broke, no problem for the professionals at Elkhart Mechanics. We can get your car or truck back to like new condition and put a smile back on your face. The suspension is the part of your car that ensures a smooth ride. It is also the part that absorbs most of the impact from driving on bumpy roads. The reason that old cars are called clunkers is that their worn-out suspension systems make noise and make for a bumpy ride. Some suspension problems can be fixed just by repairing nuts and bolts, but some require replacement of parts of the suspension system. One common problem is feeling the car pulling to one side when you are not steering it to the side. This could be because your tire pressure is uneven, in which case all you need to do is inflate your tires. Your tires might also have uneven wear, and the solution to that is to rotate or replace your tires, depending on how worn out they are. You might also feel your car pulling to one side if there is a problem with the steering rack or tie rods. You might also need to repair your brake calipers; these are prone to heat damage. If you feel your steering system wiggling or wandering, the solution could also be to inflate, rotate, or balance your tires or align your wheels. 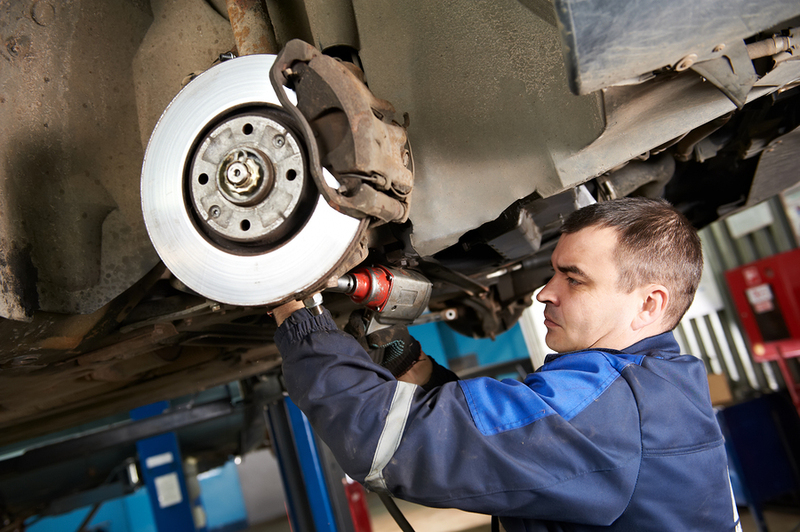 You might also need to repair your tie rods or steering rack. If you feel your car bouncing or dipping when you drive over a bump, it could be that your shocks or struts are worn out. You might also need to repair or replace your leaf spring. If your steering feels like it is slipping, you might need to add power steering fluid. You might also need to tighten or replace the steering belt. The problem could also be with the power steering pump or the power steering mount and its racks. These problems can also make it hard to turn the wheel when you are driving slowly.